Stone: Jet Crystal Occasion: Daily Decoration, Anniversary, Engagement, Gifts, Party, Wedding, Etc. 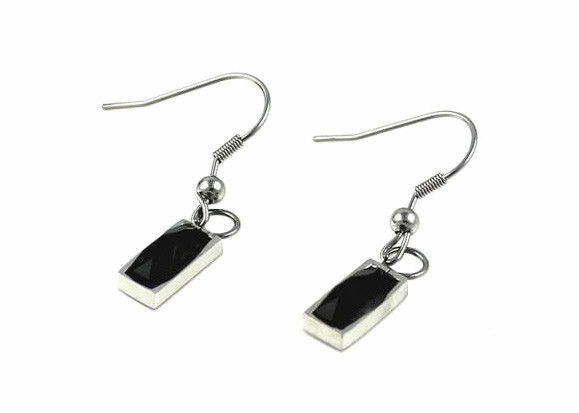 This Stainless Steel Earrings is very cute with unique design. Material: 304 stainless steel with Jet crystal, you can also use 316 stainless steel if you want best quality, and also other color of the crystal. Occasion: Suit for anniversary,dating,wedding,party etc.